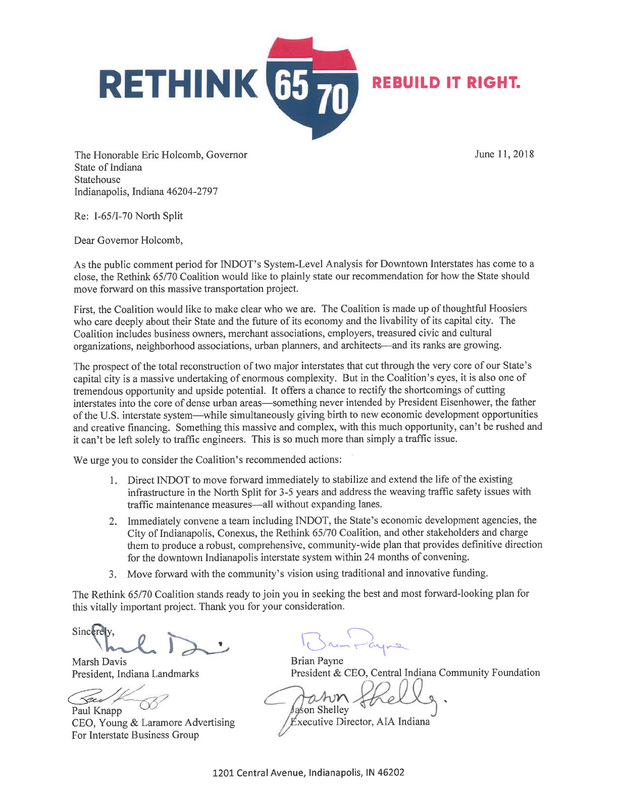 The Rethink 65/70 Coalition states our position on the North Split and asks Governor Holcomb to act in the best interests of our state. Enthusiasm for the Coalition’s Recessed Highway Reconstruction concept is growing. Here's a simple but vitally important request for Gov. Eric Holcomb and his transportation team concerning the future of Downtown Indianapolis: Please listen. The Rethink 65/70 Coalition will host a presentation at Indiana Landmarks Center on November 12. Amy Bartner examines concerns surrounding the I-65/I-70 North Split for The Indianapolis Star.